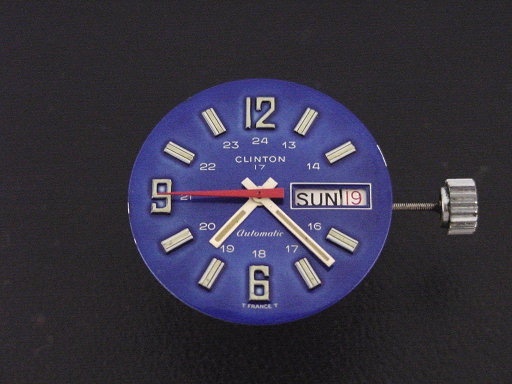 Clinton “World Time” men’s Modern design wristwatch in chrome and stainless steel, circa 1973. 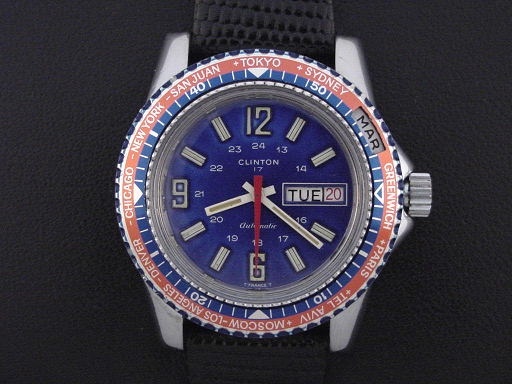 Clinton was a Chicago-based watch manufacturer which sold watches through mail order catalogs. 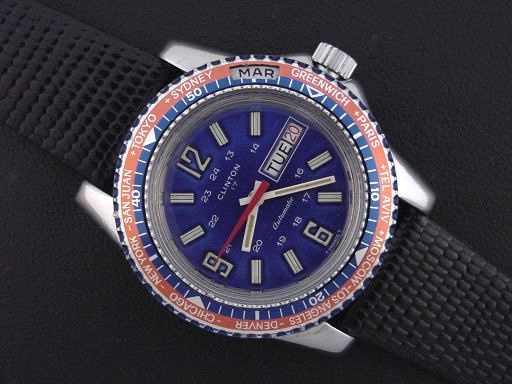 This unusual model has a large polished chrome and steel case with manually rotated elapsed-time bezel in red and blue, which allows you to calculate the time in various cities across the globe. 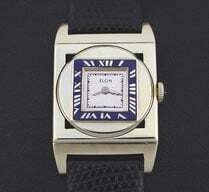 The bezel also has an opening to display the month, which is also manually rotated. This example is in excellent condition showing only very light wear, and a few light marks. Red and blue bezel is superb. 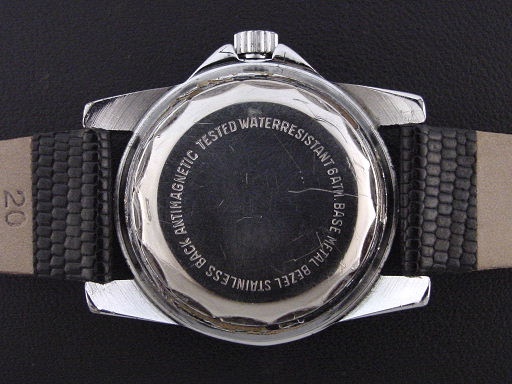 Stainless steel caseback is excellent and unengraved, with some scratches. 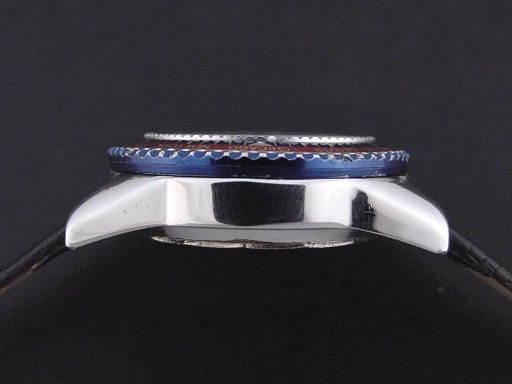 Case measures 45mm long and 41mm wide, including the crown guard. 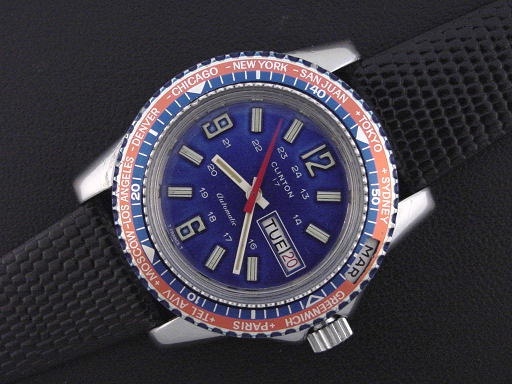 Original metallic blue dial is superb, has luminous figures and markers. Acrylic crystal is excellent. 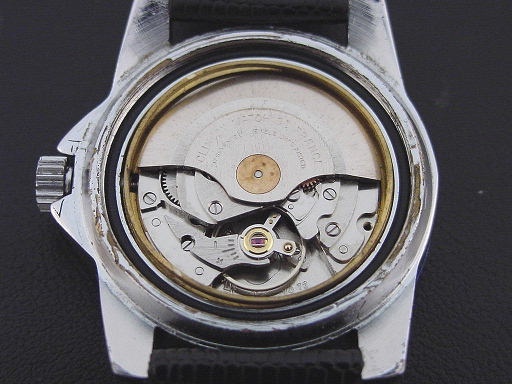 Watch is powered by its correct 17-jewel Clinton automatic wind movement, just serviced and running strong.